It was the best of times, it was the warmest of times – because she had two pink cardigans to wear this girl was never cold. 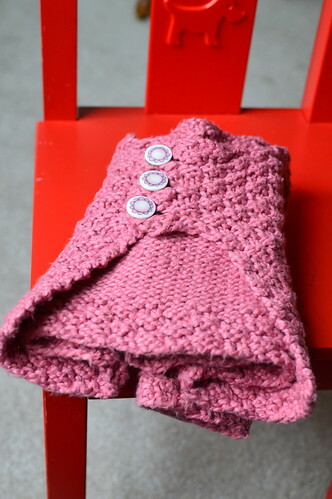 Marseille knit her niece two different cardigans in happy shades of pink so we can take a look and see what made them each such a success. 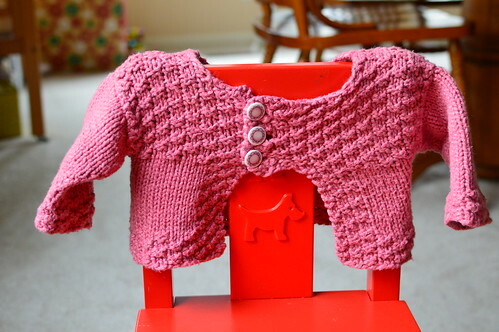 The first pink cardigan was knit using the Baby Soft Cardigan pattern by Jennifer Hagan. Marseille chose 234 yards of a soft, durable cotton in the form of Patons North America Pure Organic Cotton to knit the smallest size of the pattern. The process was straightforward and an easy one to start. It took about one week to knit the entire sweater. She was delighted when she found coordinating buttons. The cardigan has since been worn by two baby girls! As you can see, the yarn and stitchwork held up nicely. 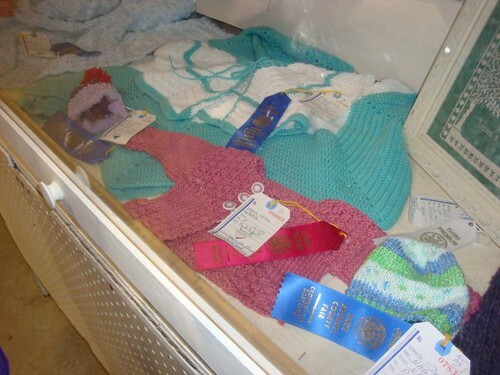 As with most of Marseille’s knitting, this cardigan was awarded red ribbon at AA County Fair, fall 09. 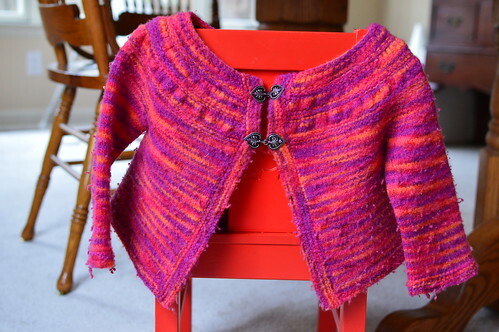 The second cardigan Marseille knit in shades of pink was using the TINY tea leaves cardi by Melissa LaBarre. She chose to knit with Lorna’s Laces Green Line DK in Bittersweet colorway on 4.0mm and 4.5mm needles. The final cardigan was a size six. When the cardigan was complete, she soaked it in the sink. The dye bled a bit, so she ran it through a cold/cold wash cycle with a color catcher. As it was a gift, she didn’t want her sister to have to deal with dye exhausting. Sadly, even the cold/cold cycle was too much for the yarn and it shrunk. A lot. 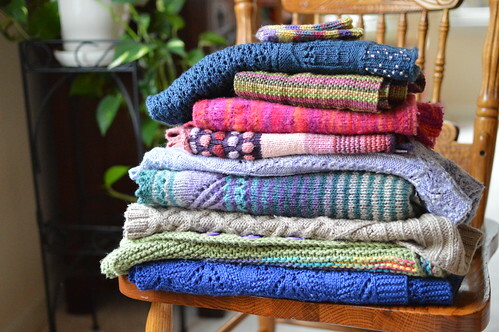 Sadly, we have no photos of the final cardigan before the wash. It doesn’t have the stretch and longevity expected, but was still wearable and warm. 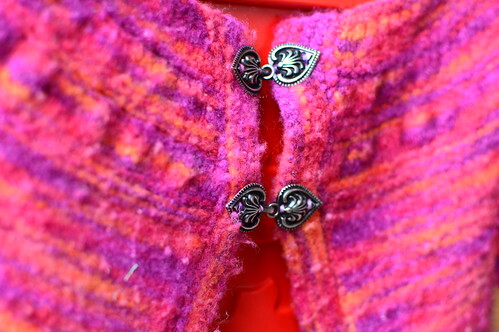 The metal closures add a nice touch to the stitchwork around the neckline. Which pink cardigan do you prefer? Have you knit either pattern or with one of the yarns used? Do you cry when things shrink and the dye bleeds? You can see all the photos I’ve taken of Marseille’s knitting in my Flickr album here and browse previous posts about her top notch stitchwork here. This entry was posted in Knitting | Crochet and tagged Marseille.